Although as a label tag, 'progressive' has always been shaky at best, the term has stuck since the adventurous rock of the 60s and 70s, and I think it pretty clearly denotes a certain set of expectations which can be extricated based on era. In the case of this young Dutch band Armed Cloud, they are subscribed to that 90s ideals of progressive metal, by which I mean not only bigger groups like Dream Theater, Symphony X, but that whole current congesting the European underground from the time US classics like Operation: Mindcrime or Images and Words hit into last decade. 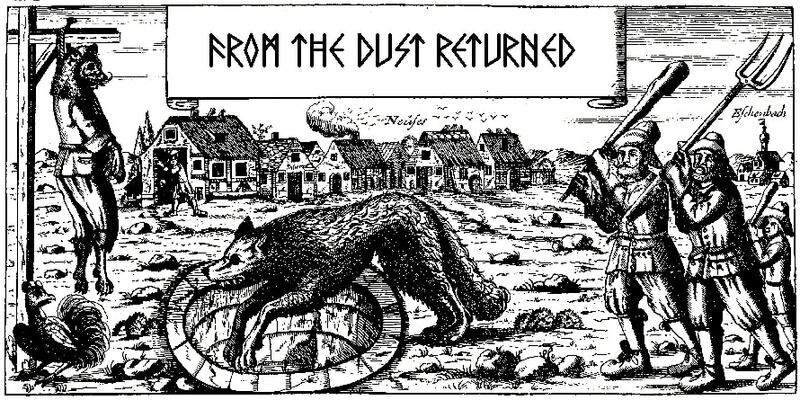 In listening through their debut EP, Shroud of Rain, I was very much reminded of acts like Ivanhoe, which is not a bad thing, though I can't promise this material is anything out of the ordinary. The characteristics are all present: an accessible, clean mix which is most concerned with listener clarity rather than aggression. Keys used to elevate the basic rock ingredient to a more symphonic plateau, which occasionally burst into outrageous solos, and comparable to the spurts of trained, slightly indulgent lead guitar work that exhibit techniques beyond the ken of the average player. Drum beats that incorporate anything from jazz, 70s prog rock and world music into the shuffling rock rhythms. A bassist that generally is not content as a mere subordinate to the rhythm guitar, and speaking of which: rhythm guitars that heavily rooted in lower end grooves, another indicator of that 90s influence where bands of this ilk were beginning to shy away from the traditional NWOBHM/speed metal licks, and more in line with Rush-based groove/rock if it were played with less overdrive and hostility. And let us not forget the vocals, which are, as you'd expect, a guy who actually sings, as opposed to the harsher stylings of extreme metal. Armed Cloud manage to infuse all of these ingredients into the three tracks here, showing some restraint, highly centered on the practice of songwriting rather than just 'going off', which frankly wouldn't fit concise 4-6 minute pieces like these. Now, I'll be honest: apart from the niche's most successful contemporaries, there aren't many markets in which this sound is still prevalent, and these early compositions are certainly not the most explosive, exciting or innovative in this chosen paradigm. 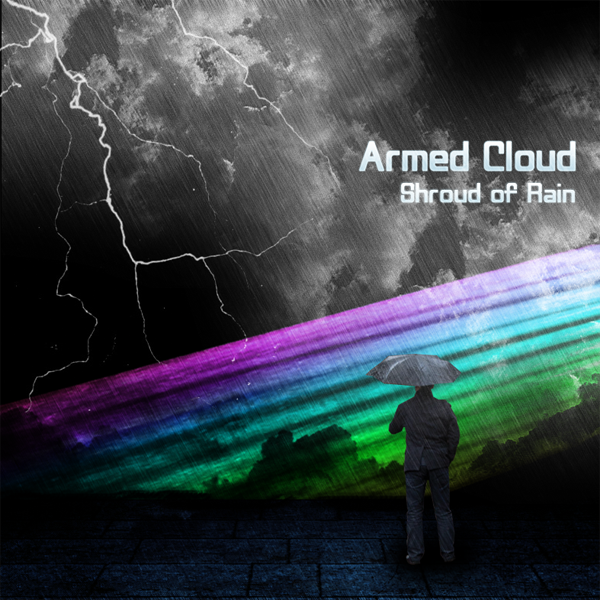 There's always been a certain stigma among many metal fans that this stuff is too poppy or geeky, because it's just as relaxing as it is jarring; but I honestly cannot be counted among the style's detractors, because if played well, music like Shroud of Rain provides its own sort of entrancing escape. What I appreciated most here is that the band throw out numerous techniques to keep the material varied and refreshing. For instance, in hearing the fist song, "This Dream", I wouldn't have expected the bluesy, Pink Floyd-like leads and synths in "Helping Hand", and these Dutchmen are quite adept at being able to convey and intensify emotions, coming in with those jammy, hard riffs right at the point where the tracks couldn't become any more sugary. The synth pads definitely whisked my imagination straight back to the 80s and 90s, and though his voice took some getting used to, Daan Dekker has a very soothing mid range and never tries to bite off more than he can chew. The vocal harmonies are also well arranged. 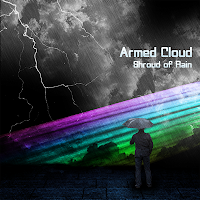 Ultimately, Armed Cloud is only going to appeal to an increasing minority audience which longs for that dreamy balance of ballast-heavy rhythm section, airy keys and melodic vocals. You're average Slayer fan is not going to take away a lot from the EP, and there are undoubtedly a few sections here where I felt the music became a bit too 'safe' for even my own taste. Certainly, there is much room to grow. That said, I found most of the instruments here well performed. I wouldn't mind some crazier bass lines, or a bit more intensity and sharpness to the vocal delivery, but Shroud of Rain is not an unpleasant way to kill 15 minutes, especially if you're pining for that wave of Euro progressive metal weaned on Rush and Dream Theater. Bonus points that the band is able to implement so many subtleties, catchy licks and melodies despite not writing like they were borne on a thunderstorm of technicality.